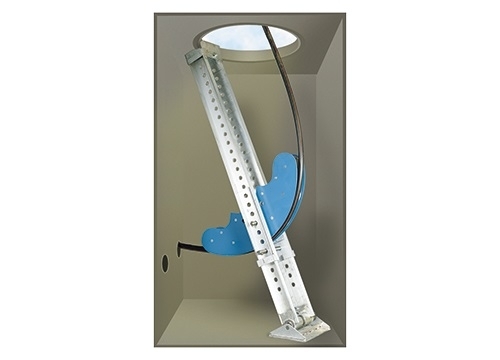 The Condux Jamb Skid is a device for supporting sheaves or quadrant blocks inside a manhole to pull cable into underground conduit. 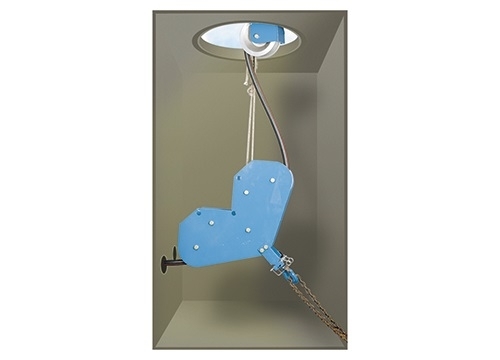 By positioning the top of the jamb skid against the underside of the manhole opening, and using the camlock foot pedal, set-up can be done in a fraction of the time it takes to install a hanging sheave assembly. Pulling tension actually increases the stability of the Jamb Skid during the pull. No dangerous breakage of chains or straps. 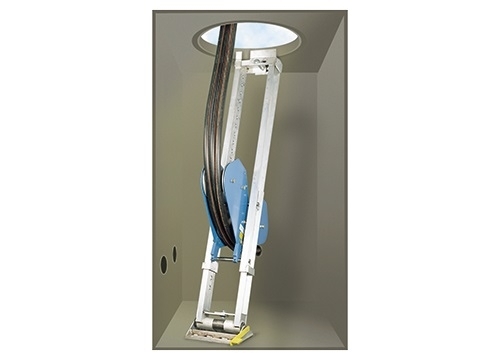 The Jamb Skid is especially useful when there are no pulling-in irons available, or when the existing irons do not align correctly with the duct opening. The Jamb Skid can be placed anywhere within a 360° radius inside the manhole. 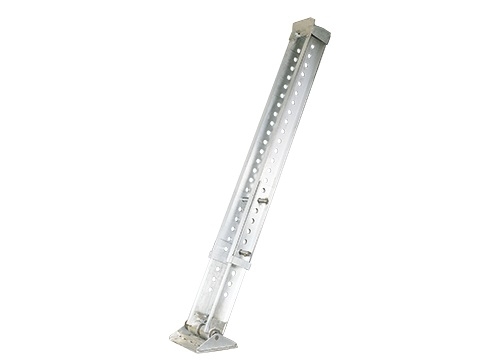 Constructed of solid aluminum, the Jamb Skid is both strong and lightweight. In most instances it can be installed by one person. The complete unit is created by combining a base unit with one of several extension units, depending upon the height required. Locking 11⁄4" (32 mm) pins, allow the height adjustment of the Jamb Skid. Also, the width adjusts from 7" (178 mm) to 11" (279 mm) to accept all Condux sheave assemblies up through 8" (203 mm). 10,000 lbs. (44,480 N) cable tension load rated.